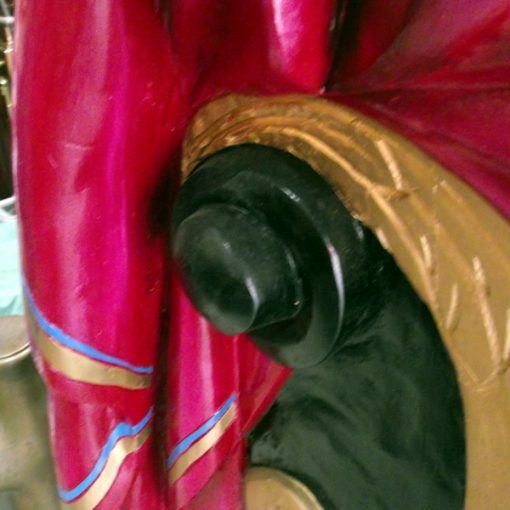 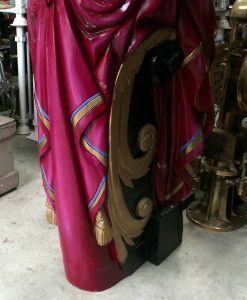 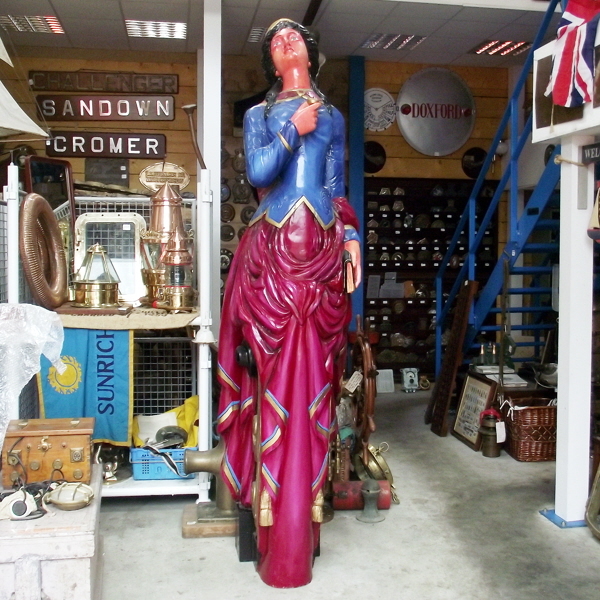 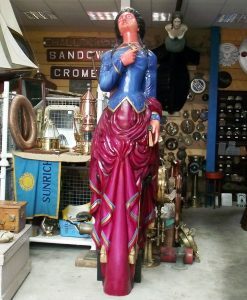 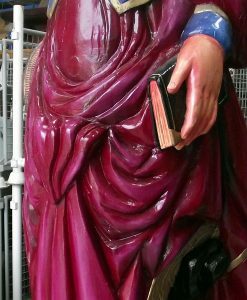 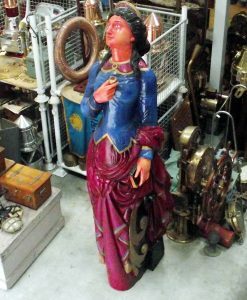 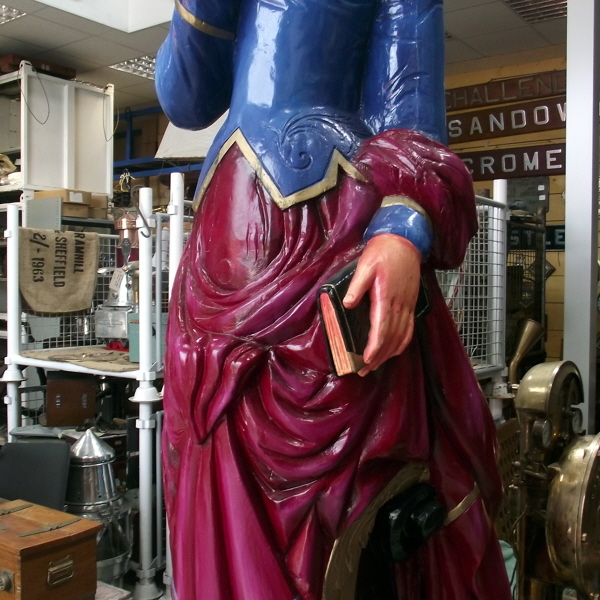 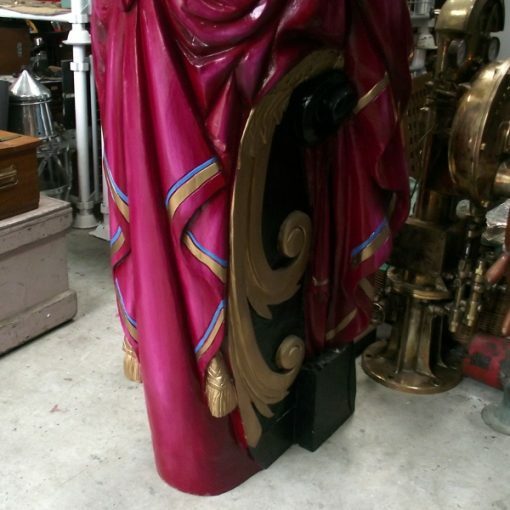 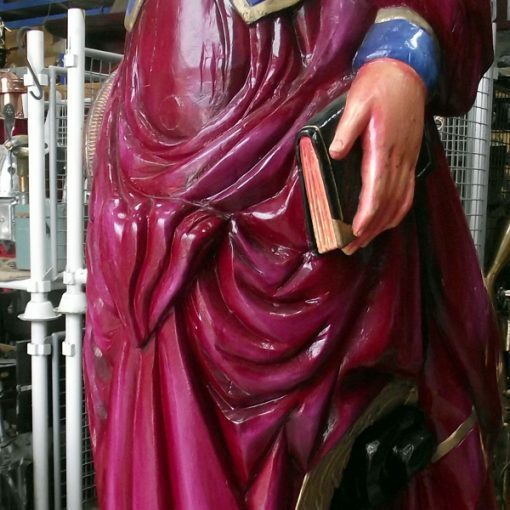 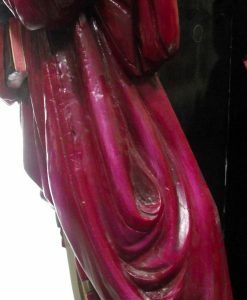 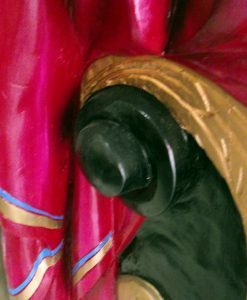 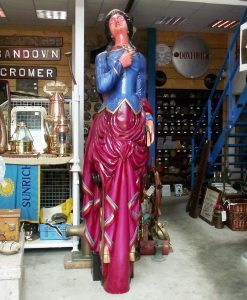 This huge Figurehead is one of three Figureheads that we obtained, that originally came from The Burgh Island Collection. 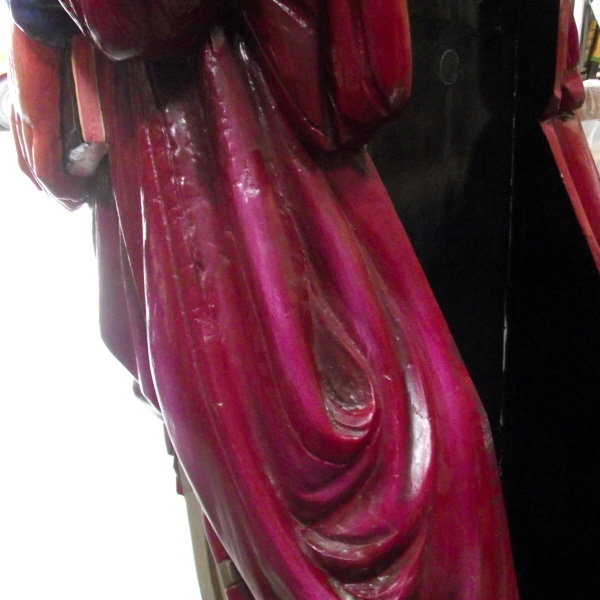 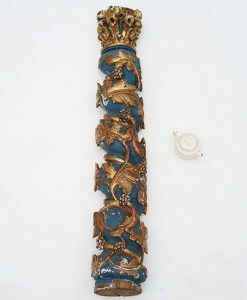 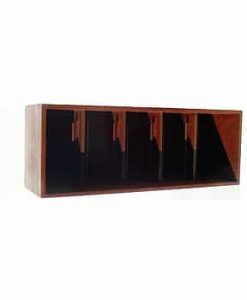 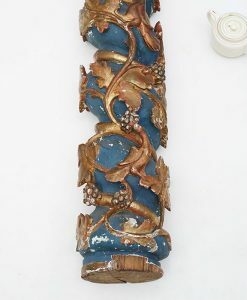 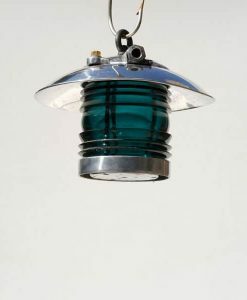 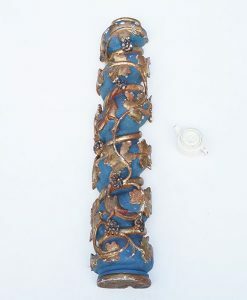 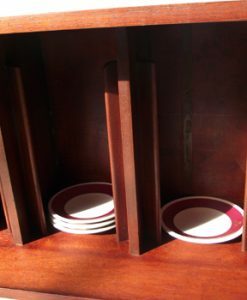 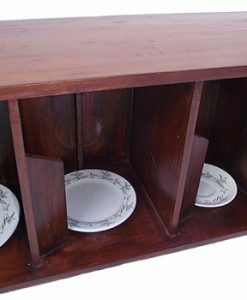 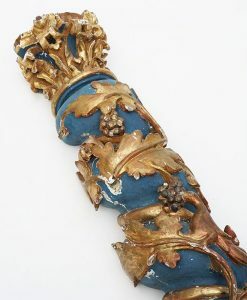 All have had varying degrees of restoration and been repainted. 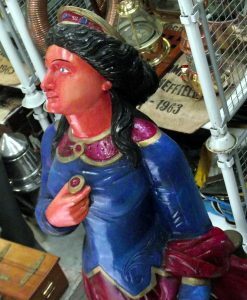 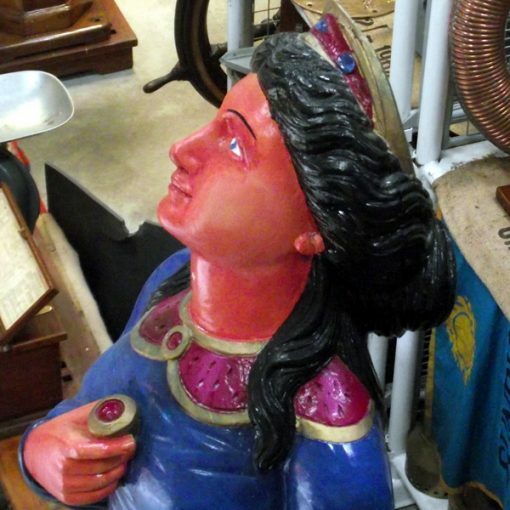 The report from Richard Hunter (Leading figurehead Historian) states that this wooden merchant ships figurehead is from the ‘Pendragon Castle’ and thought to have been carved between the years 1889 & 1892. 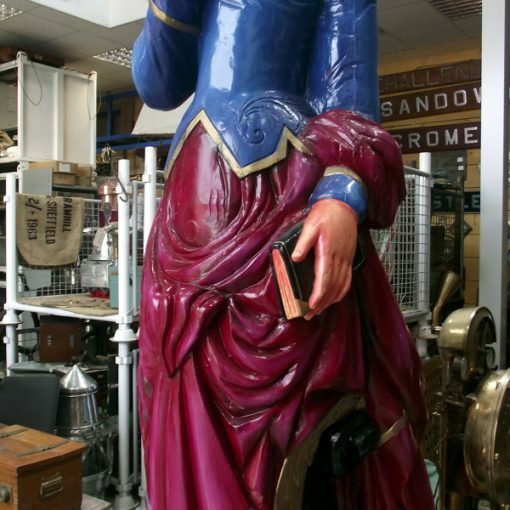 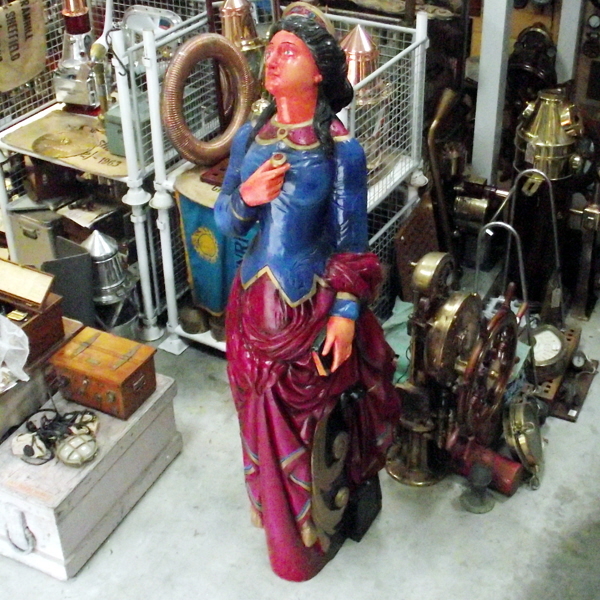 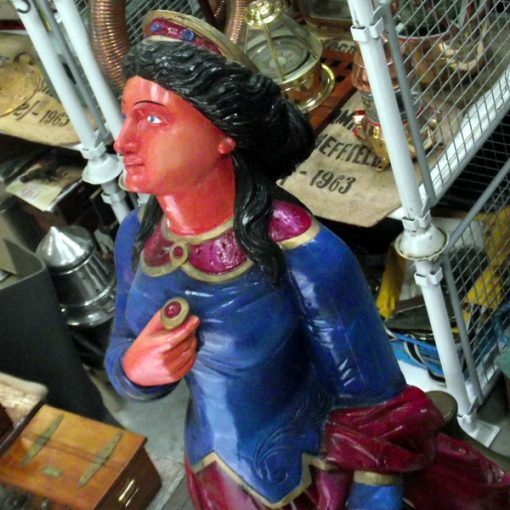 Of the hundreds of merchant ships figureheads that have survived and can still be found in the world today; it is interesting to think that this figurehead, the ‘Pendragon Castle’ still has one sister left in the world, the ‘Eusemere’ over in a German Museum. 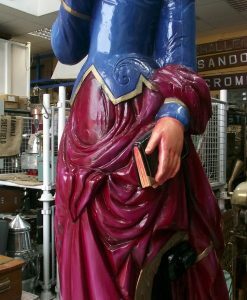 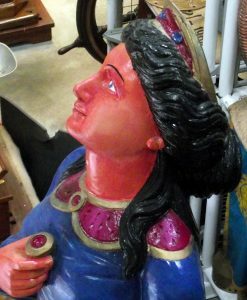 Looking at the size and style of this Figurehead and the fact that she has five other vessels built at around the same time, and in the same yard, it is safe to assume that the carver for both the figurehead of the ‘Eusemere’ and the ‘Pendragon Castle’ came from the same workshop. 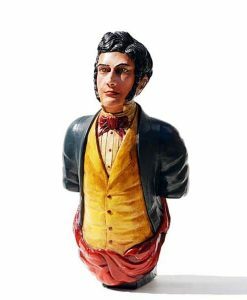 Looking at the information known at the time, the last local carver on Wokington was George Brooker from 1824 to around 1881. 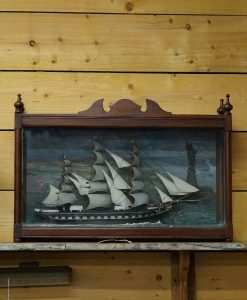 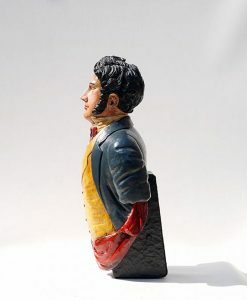 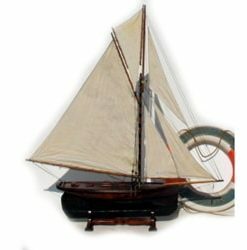 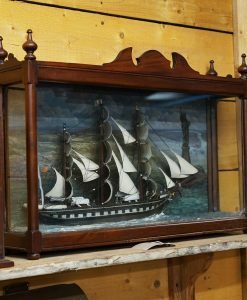 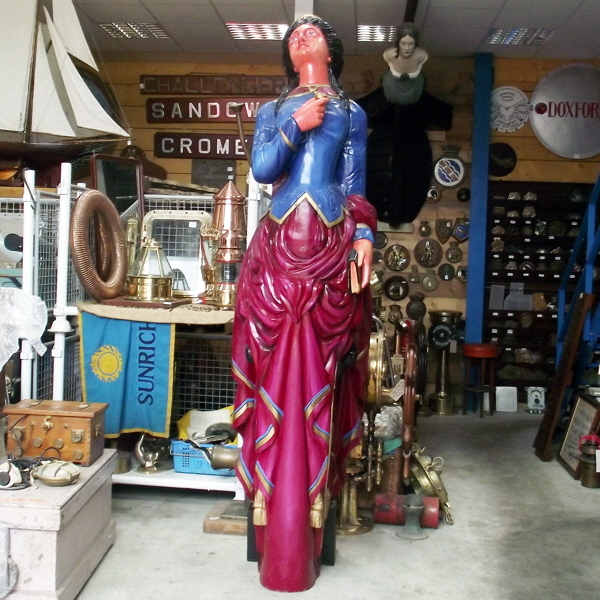 He moved his own workshop originally from Maryport & with this in mind it is possible that the shipyard used outside carvers for such an important set of figureheads, and would have moved down the coast to Liverpool. 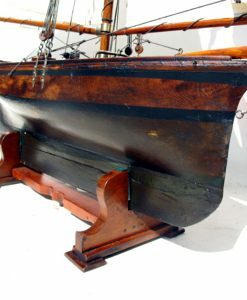 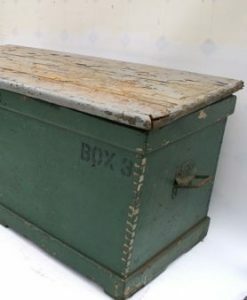 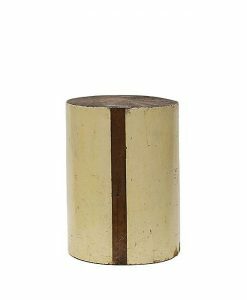 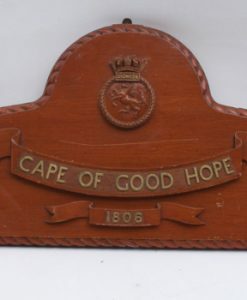 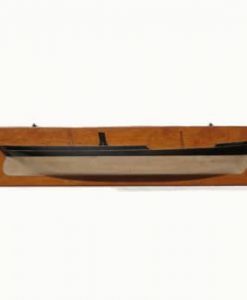 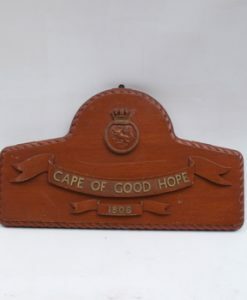 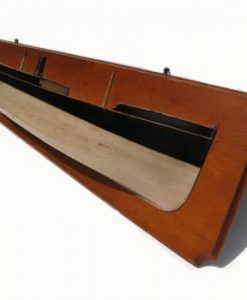 It has been possible to cut the number down to two, still working in the business of ship carving as late as 1880 -90.